Who Is at Fault for My Salt Lake City Car Accident? When seeking compensation for the injuries and damages you suffered in an auto wreck, the first step always involves determining precisely who was at fault. Without being able to prove this, you don’t have a case for compensation. This makes hiring an experienced personal injury attorney with access to investigative resources a critical part of your success. There might also be a need to hire a forensics expert to analyze the crash site or other elements involved in the accident. If additional information is still needed after all of this, we can depose the other parties involved. During a deposition, these individuals will be asked questions while under oath, allowing us to gather vital information, such as whether the driver was intoxicated or using a cell phone at the time. At the conclusion of our investigation, we will know who was responsible for your crash and you will be able to name all at-fault parties in your personal injury lawsuit. It’s also possible that you yourself were partially responsible for what happened. However, as long as you were less responsible than another party, you can still file a lawsuit and receive compensation. Truck Accidents – When hit by a large commercial truck, the driver and the trucking company could be negligent. Since drivers sometimes work for themselves as independent contractors, we need to determine their status prior to filing suit. Additionally, the maintenance company or truck manufacturer could have some responsibility. Rideshare Accidents – Companies like Lyft and Uber do not hire drivers directly. Rideshare drivers are independent contractors using their own personal vehicle. Factors like whether they are in “drive mode” or have a paying passenger in their car will determine who is financially responsible and which insurance policy will kick in to pay for your damages. Road Construction Accidents – When there’s an accident in a work zone, numerous factors will be in play. The road crew might have been negligent by not posting proper warnings, the government agency hiring them could be responsible for a lack of proper oversight, and other drivers could be to blame for driving too fast. For help with your car crash case, complete the form below or call 1-800-404-9000. 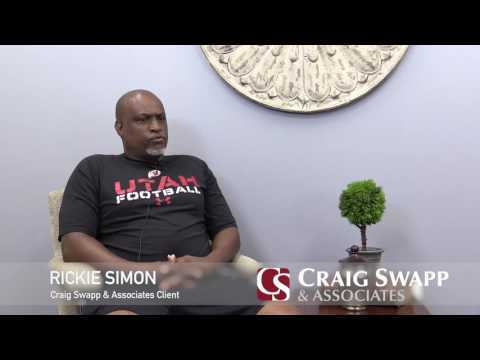 Schedule a free consultation with an attorney from Craig Swapp & Associates and find out how we can help you get the settlement you deserve.